Punit Malhotra directed ‘I Hate Luv Storys’ more than 3 years ago for Karan Johar's Dharma Productions and now the director is back for yet another romantic comedy for Dharma Productions. The film features Imran Khan and Kareena Kapoor Khan, the lead pair of ‘Ek Main Aur Ekk Tu’. Imran Khan's last 2 movies are flops; Matru Ki Bijlee Ka Mandola and Once Upon A Time In Mumbaai Dobara and Kareena's only release til date in 2013, Satyagraha was also a flop. 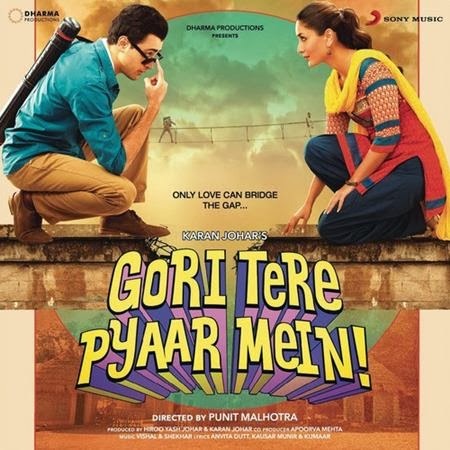 Can Gori Tere Pyaar Mein give both actors a much needed hit? The film is well promoted and suppose to open well and do well if content of the film is accepted and but the film will a have stiff competition from Krrish 3, Ram Leela and Singh Saab The Great. Also, there is Bullett Raja and R… Rajkumar releasing in the weeks to come. Therefore it's really difficult to predict anything. But here are our predictions and share your in comments.